When choosing a veterinary clinic, you should be able to count on excellent patient care and customer service. At Wascana Animal Hospital in Regina, Saskatchewan, we have an experienced team of veterinary professionals who can provide you with exceptional care for your pet. 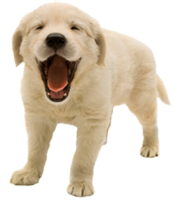 We have a state of the art veterinary facility that is clean, comfortable, child-friendly and efficient. Call 306-789-0918 to schedule an appointment and we will do our best to find a time that is convenient for you! At least once per year, your pet should have a complete physical exam. At Wascana Animal Hospital we will examine your pet from head to tail, provide advice, and offer treatment recommendations aimed at maximizing your pet's health. We like to get to know you and your pet as much as possible! All new patients will need to complete a New Patient Form. Please see the "Online Forms" section of our website where you can fill out the form online or download it, in the comfort of your own home and bring it with you when you come to our hospital. You may also fill out the form at our clinic, but please arrive at least 10 minutes prior to your appointment to allow time to do so. This way we can be sure to spend time on what matters most - your pet's health! If you have any previous medical and vaccination history for your pet, please bring it with you or arrange to have your file transferred to our hospital prior to your appointment.